See and feel the quality yourself. With our matching stationery collections. Order your favourite designs, delivered completely free! We will email you a proof to check before printing starts. All stationery is designed & hand-packed in our studio. Designed in our Shropshire studio. Printed onto quality materials sourced in UK. Tree of Hearts has been providing couples with beautiful wedding stationery, including wedding invitations, save the date cards, and RSVPs, since 2012. We would love to be a part of your special day! Tree of Hearts is based in the lovely market town of Bridgnorth, right next to the River Severn. Our experienced team members are always ready to help you make your wedding stationery dreams a reality. Find out more about the Tree of Hearts family here! We know your wedding is one of the biggest days of your life. That’s why we have everything you need to create magical memories. Start the journey with our save the date cards and magnets – the perfect way to announce the big day! 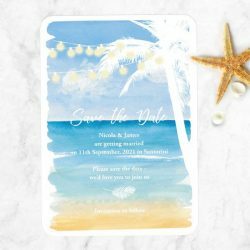 When you’re ready to invite guests, you can rely on us for high-quality wedding invitations. We have so many designs to explore, so no matter what your wedding theme is, we’re sure you’ll find something you love. Theme your entire day with our matching wedding stationery collections. In addition to essentials like table plans and thank you cards, you’ll be able to find lovely little extras like drink tokens and signs! We want you to be sure our stationery is perfect for your wedding. Our free sample service lets you order two cards in designs of your choice – and there’s no charge for postage, either! See and feel the quality of our luxurious invites before you place your order. And, if you decide to buy from us, our free online proof service lets you check and change your stationery before anything gets printed. Our stress-free proof service gives you total peace of mind that your order will look exactly how you imagined! With free delivery on orders over £60 and a next day delivery service if you need your order in a hurry, we hope our personal service and gorgeous designs will help to make your wedding planning as smooth as possible.